A report by researchers at Vanderbilt University Medical Center has shattered conventional wisdom about how cells, including cancer cells, shed DNA into the bloodstream: they don't do it by packaging the genetic material in tiny vesicles called exosomes. Their findings, reported April 4 in the journal Cell, have important implications for the development of "liquid biopsies" that could speed cancer diagnosis and improve treatment by detecting tumor-specific genetic material in the blood. "It's been a big deal that there is supposedly DNA in exosomes … (and) you could isolate these exosomes in a relatively simple way," said the paper's first author, Dennis Jeppesen, Ph.D. The problem is exosomes don't contain DNA. "Exosomes are not your target," said Jeppesen, a research fellow in the lab of Robert Coffey, Jr., MD, who is internationally known for his studies of colorectal cancer. Instead, Jeppesen and his colleagues propose a new model for how DNA is actively secreted by cells. 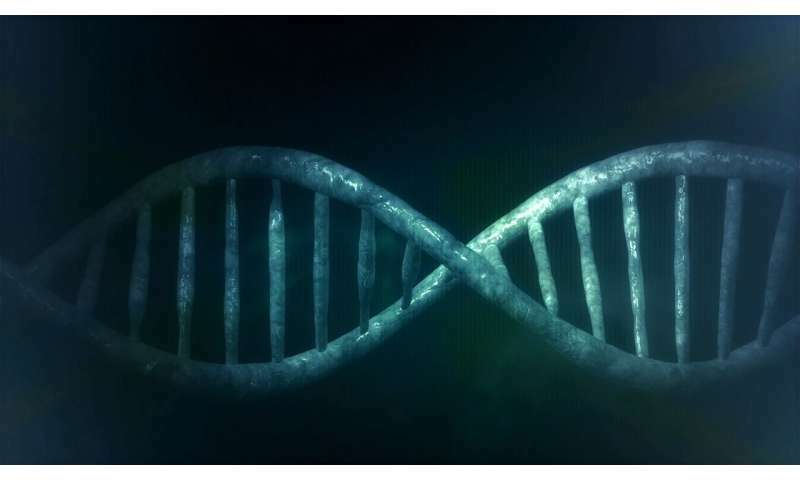 Greater precision in determining how DNA, RNA, another type of genetic material and proteins are packaged and secreted from cells "is crucial for identification of biomarkers and design of future drug interventions," the researchers concluded. Coffey, Ingram Professor of Cancer Research in the Vanderbilt University School of Medicine, predicted the paper will "set the field on a firmer foundation" to understand what's in exosomes and what's not, and how exosomes might be used as biomarkers or therapeutic targets. Coffey's team is part a nationwide consortium funded by the National Institutes of Health (NIH) to study the role of extracellular RNA in diseases including diabetes, glaucoma, muscular dystrophy and cancer. Last week the NIH announced the publication of what it called a "landmark collection" of scientific papers in the Cell family of journals on the biology and possible clinical applications of extracellular RNA. Two of those papers, including the paper about exosomes, came from Coffey's lab. Virtually every cell in the body releases DNA, RNA, proteins, lipids and other particles. These so-called "nanoparticles" are thought to be a way that cells communicate with each other. But they also might signal cancer to spread—or metastasize—to other parts of the body. The traditional way is to use high-speed centrifugation to spin exosomes out of a blood sample and into a "pellet" at the bottom of a test tube. Biochemical methods are then used to characterize the RNA, DNA and proteins in the pellet. The assumption was that the pellet contained only exosomes and their cargoes. But Jeppesen, who earned his Ph.D. in Molecular Medicine at Aarhus University in Denmark, was skeptical. He decided to take a different approach. "We showed this for multiple cancer cell lines," he said. "We also see the same kind of thing in normal cells." To isolate and study exomes apart from the traditional pellet, Jeppesen and his colleagues developed another technique they called direct immunoaffinity capture. They coated magnetic beads with a "capture antibody" that targeted one of the known proteins, or antigens, on the exosome surface. That's how they were able to determine that exosomes don't carry DNA. "We can actually see these amphisomes traffic to the cell surface," Jeppesen said. "Now it's possible to say with greater precision what's in the exosome and what's in these other vesicles. Now you have an idea of what is the target you're looking for."